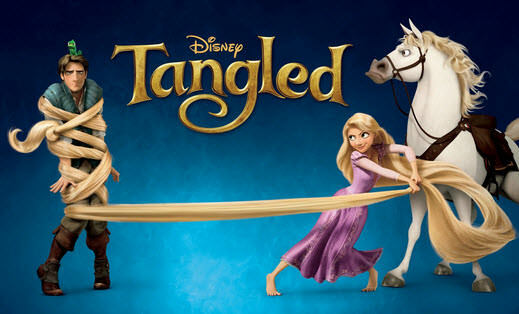 Animated Fantasy Movies Like Tangled (2010) '+g+"
Like watching animated fantasy movies like Tangled (2010)? then check our list of recommendations for movies similar to Tangled. Tangled is an animated musical fantasy film based on the popular fairy tale "Rapunzel". It is produced by Walt Disney Animation Studios and released by Walt Disney Pictures. The story follows Rapunzel and Flynn Rider's fantastic journey filled with surprising heroes, laughter and suspense. Don't forget to mention if we miss any other movies similar to Tangled (2010) as we keep on updating this list. The Princess and the Frog is a 2009 animated fairy tale set in 1920s New Orleans during the Jazz Age. The story follows a poor African-American waitress named Tiana who kisses a prince turned frog to break his spell, but becomes a frog herself. Now the two of them should find the voodoo priestess to set things right before its too late. Frozen is an 2013 3D animated musical comedy produced by Walt Disney Animation Studios. The story follows an epic journey of princess Anna along with Kristoff and a snowman named Olaf to find her sister Elsa and free their kingdom from eternal winter. Anastasia is a 1997 animated fantasy film from Fox Animation Studios.The story follows Princess Anastasia, the last surviving child of the Russian royal family's journey from the streets of Russia to Paris with the help of a pair of con men. Sleeping Beauty is a 1959 animated musical fantasy from Walt Disney. The story follows a princess who was cursed by a evil fairy Maleficent and can only be saved by true love's kiss. Epic (2013),.....if you can think of more, then don't forget to mention it in comments.